What Are Eye and Eyebrow Fillers? The aging process can wreak havoc on the eyes and eyebrows. From hollow temples to sagging eyelids to dark circles and bags under the eyes, there are a lot of things that our eye fillers can treat. It used to be that removing the fat was the go-to way to improve dark circles and eliminate bags, but that often leads to a hallowed-out look and carries some risks. Instead, we use under eye fillers composed of hyaluronic acid to rejuvenate the skin and make you look refreshed. What Can Be Accomplished with Eye and Eyebrow Fillers? The things we can get accomplished with our eye fillers and brow fillers at our Southington, Connecticut, medical spa are quite astounding. Our under eye fillers allow us to improve dark circles and under eye bags by bringing the moisture back to the area with hyaluronic acid. But our eye fillers do a lot more than improve dark circles. We can use our eye fillers to bring fullness back to the thinned out skin above your temples, as well as help sagging eyelids. Our brow fillers—often used in combination with Botox®—can give your eyebrows a subtle lift to contribute to a younger-looking you. When it comes to the under eye fillers we use at our medical spa in Southington, CT, we usually turn to either Juvederm ® XC or Restylane®. They both have their advantages and disadvantages, but with carefully measured doses and a skilled hand, we can achieve the renewed eye look you are seeking. We also use Juvederm ® XC and Restylane® for brow fillers and temple fillers, in very small doses, to oh-so-carefully lift up and add volume to the skin to give your eyes a brighter, younger appearance. Why Choose Re:Nu 180 MedSpa for Eye and Eyebrow Fillers? The eye area is extremely unforgiving. The wrong dose or incorrect angle of the eye filler can lead to more harm than good. That is why it is critical you only receive your under eye fillers and brow fillers from someone who approaches them like the art they are. 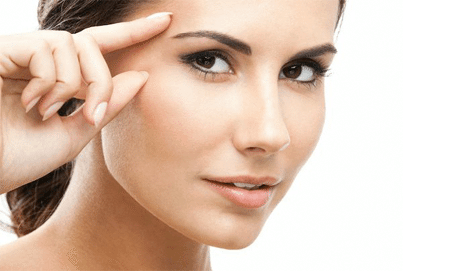 At Re:Nu 180 MedSpa in Southington, Connecticut, we will inject the eye filler with extreme care to ensure that the results you get are exactly what you hoped for. We take great pride in our relaxing atmosphere and we promise you will be at ease knowing you are in the best hands possible when receiving your under eye fillers and brow fillers.